A farming accident has killed a teenager in Cork after he fell off a tractor and sustained serious head injuries. The boy has been named as 14-year-old Michael Murphy who was working for a local agriculture company at the time. The boy was a passenger in a tractor alongside a 20-year-old man who was driving. Both were transporting silage as he fell off the tractor while it was moving. An air ambulance took him to Cork University Hospital but he died of his injuries later that night. The driver was treated for shock but was not injured. The local community is said to have been ‘numbed’ by the accident. 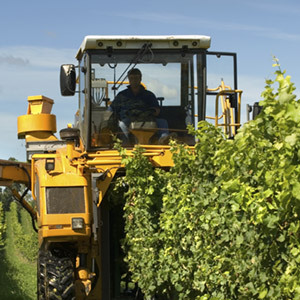 Farming accidents are common kinds of workplace accidents. Jobs on farms usually involve lots of heavy machinery or vehicles and there are numerous health and safety hazards present on a daily basis. Owners or managers of working farms must keep strictly within the health and safety laws set out by the HSE. This involves conducting regular and sometimes specific workplace risk assessments of activities carried out by employees. It also involves the provision of correct training and ensuring that machine, equipment and tools are all maintained properly. Some jobs require employers to provide safety equipment to protect employees from dangers, for example, dust masks, protective clothing or protective eyewear. A lot of agricultural accidents can result in major injuries and sometimes death. If you or a family member has been injured in a farming accident then you could be able to claim compensation. Our solicitors are ready to help you. We usually work on a no win, no fee basis. Call our friendly team on 0800 342 3206 or get in touch online for a no-obligation conversation about your potential claim.